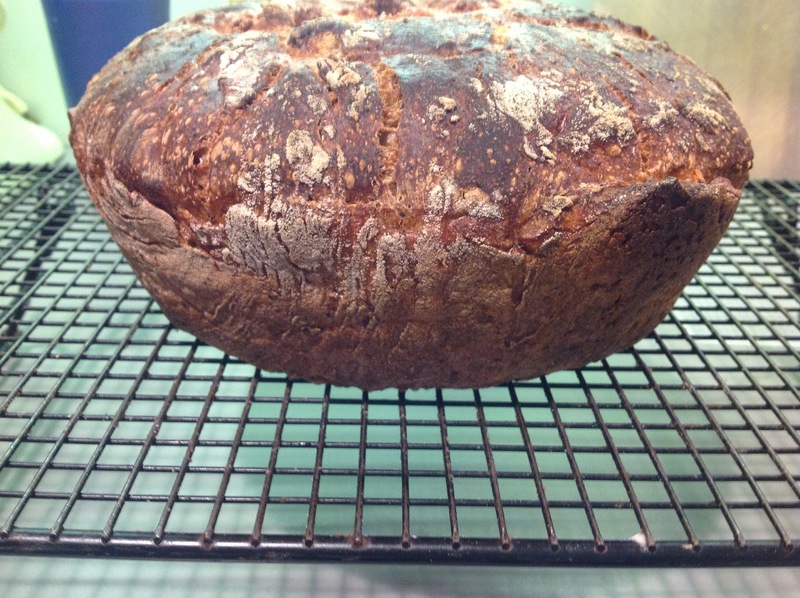 Recent reading on sourdough technics gave way to this loaf. Milling grains for beer, or more accurately crushing malted barley, I tightened up the Victoria mill for a fine grind of barley , that being 120 caramel/crystal malt. This mix will lead to a dark gold color as the barley is roasted, 120 being the color scale measurment of the malt. Just as a side note, this is how your red, porters and stout beers account for their color. The dark roasted grains may be an aquired taste. 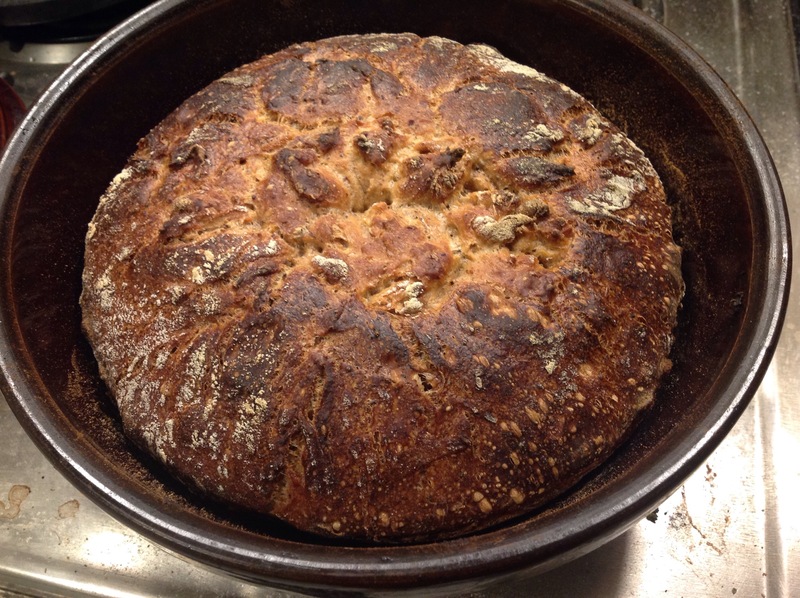 Now I didn’t get the exact measurement of barley in addition to the 1 kg all purpose flour , probably around 1/2 cup, the new technics were to age the soughdough starter AND what’s know as a leven by soaking the grains, the all purpose flour, with water. 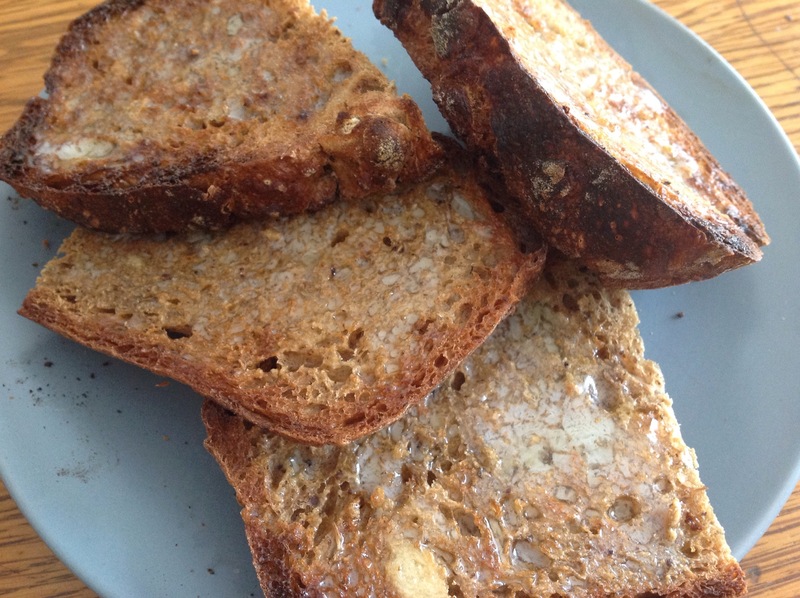 Sour dough bread is a non yeast bread relying on the starter to provide the fermentation. OK, if time is on your side, as this is a long process, that being, the proofing, and temperature plays into the completion of the bread. Experience is the best teacher in this type of baking. My process is harvesting some starter from the crock in the fridge to start, feeding the crock ,before returning into cold storage. 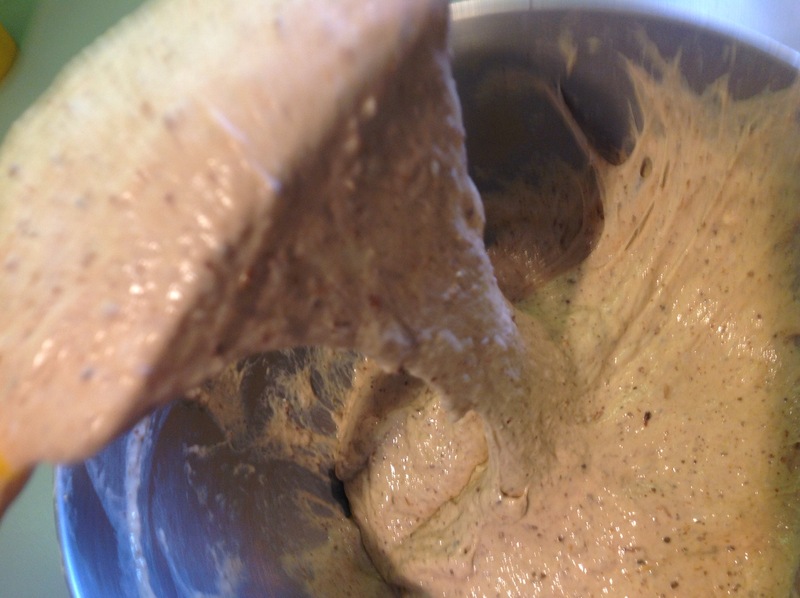 Now I fed the starter with the barley flour and water and prepared the leven as well. The very active starter didn’t take long to bubble and from prior failed proof of concepts, ( that’s a literal “proof”) with the additive of barley, an overnight soak sounds like a good idea for fussy grains like whole wheat and fresh ground barley malt who seem to take their time absorbing liquids. 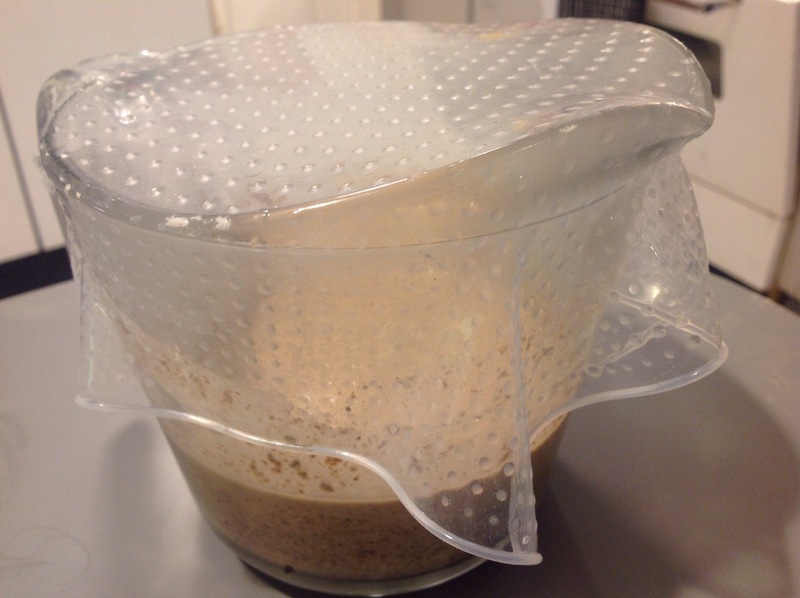 The sourdough barley malt starter. After an overnight stay, Now it’s a simple matter of mixing the starter and the leven. You can see the roasted barley bits in the dough. Runny very hydrated dough , pre globular ! It’s Alive ! The organism starts to grow and pick up a cohesive texture, turn every hour or so, I find that tilting the bowl to the horizontal and utility a spatula dipped in water will easily fold the entity. I used the floured towel and bowl method to nest the slow ferment the globular organism. Several points to consider, the dough stuck to the towel when moved to the Dutch oven, being a pottery one versus cast iron with the bumpy top as result. Internal temp at the finish is 200 degrees Fahrenheit. The next loaf will be either a lower oven temp or less cover off baking time. Several hours later, in the Dutch oven, the result. A dark crust, crunchy right from the oven the apparent dark grains has a part to play in the finish color. 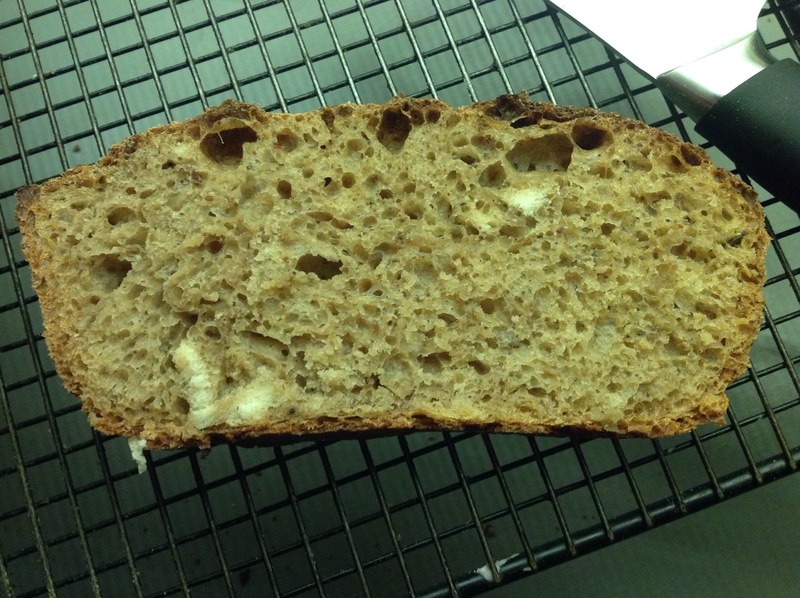 One trait I notice with the sour ferments is that the crumb has a slight rubbery texture even though no oils were added, not like a slightly grainy finish from yeast/all purpose flour mixes or those with semolina additions. 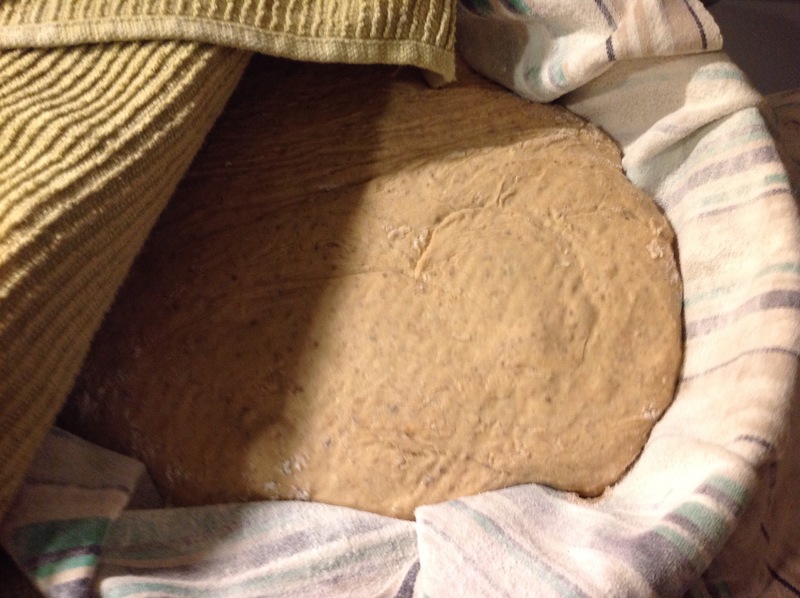 One other ferment was placed stasis refrigeration, warming up to be nest fermented and baked. Taste is a earthy barley background clinging dark malt aftertaste. Do you taste your ingredients? That’s how to become familiar with the different flavours. 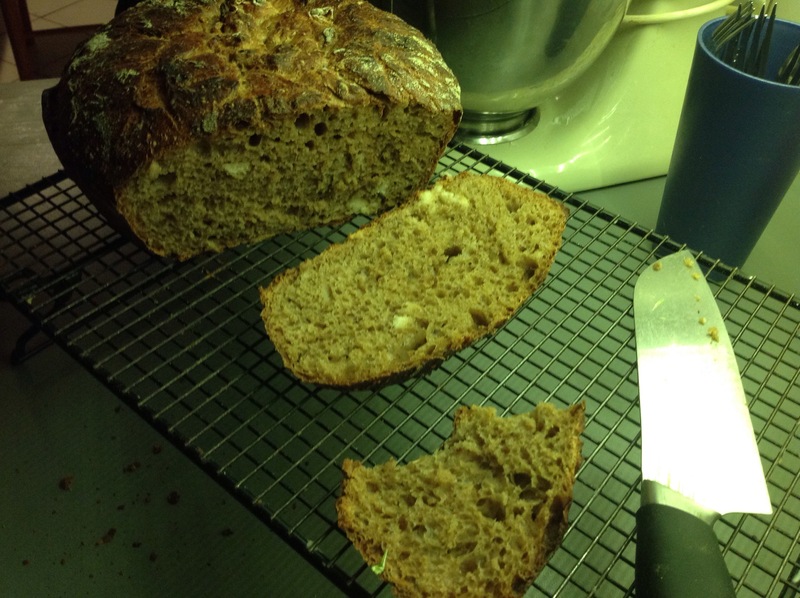 Taste and smell the flours and grains that you use in recipes. Always have some ferment going on in the house. 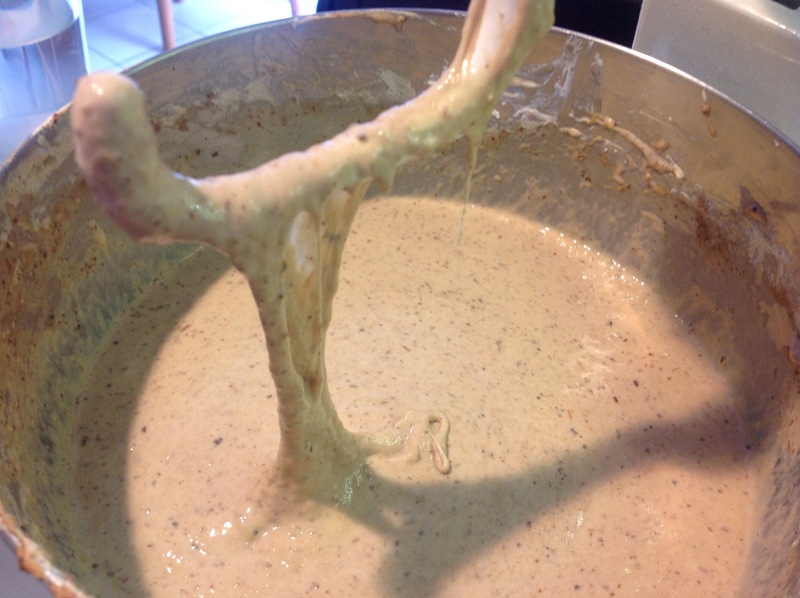 Fit in the mixing , fermentation, and baking to your schedule and it will become an aquired skill.